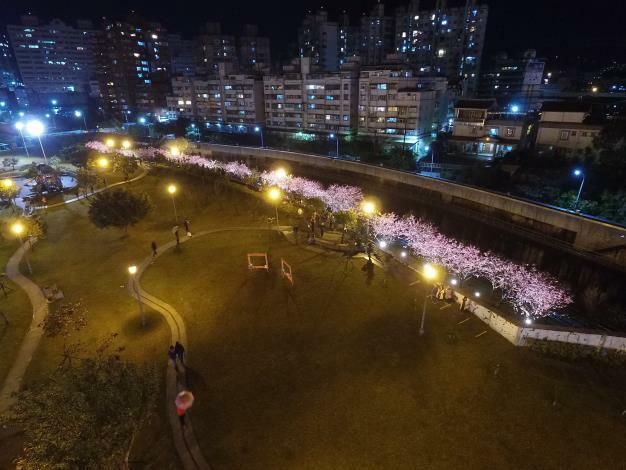 The 2019 LOHAS Night Cherry Blossom Festival is ongoing at the Neihu LOHAS Park! According the Public Works Department’s Parks and Street Lights Office (PSLO), the event will last through February 17. 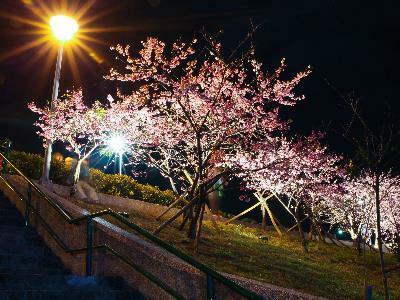 During this period, the walkways in the park will be enhanced with nighttime illumination device to bring out the beauty of sakura flowers blooming under the stars. Of course, the venue is also a great place for picnic during daytime, given its location next to the riverbank. The LOHAS Park in Neihu boasts a large variety of cherry blossoms, including Taiwan cherry, Yae Sakura, Yoshino Sakura, and Showa sakura planting across its premise, with over 3 kilometers of walkway providing visitors access to these amazing sceneries. Many of the cherry blossoms are expected to be in full bloom around late February. For the latest information on blooms, please visit the fan page of the LOHAS Night Cherry Blossom Festival. 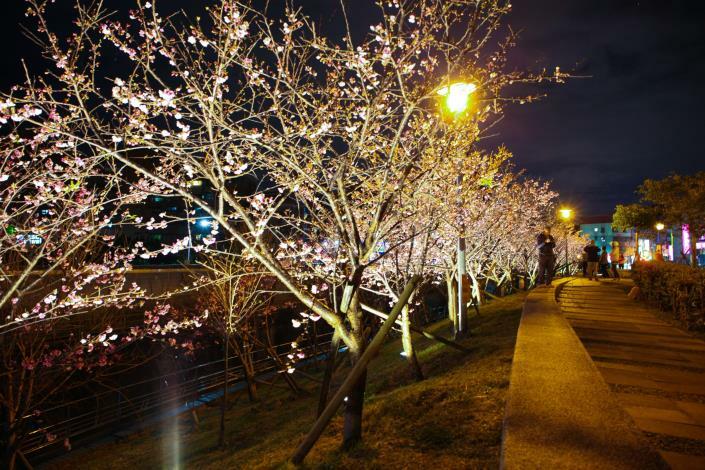 The theme of this year’s event is “Romantic Cherry Blossoms in the Spotlight. The festival kicked-off on January 27 with fanfare, featuring performances and a fair. Visitors were able to participate in a wide range of activities, from interactive games to information on gardening. Director Sung of Floriculture Experiment Center remarked that in addition to the opening ceremony on January 27, there will also be a special picnic and outdoor movie show event between 3 PM and 8 PM on Sunday, February 17. Citizens are invited to bring their family and friends to spend the afternoon and evening at the LOHAS park and treat themselves to some quality time. For those who prefer to visit without having to bring gears, there are also food stalls and interactive games at the venue. Individuals who successfully register for the picnic event on February 17 online and wear pink color attire to the event, they will be able to receive a voucher exchangeable for a sakura meal set after being verified at the information counter on site. Supply of the meal set is limited so act fast! 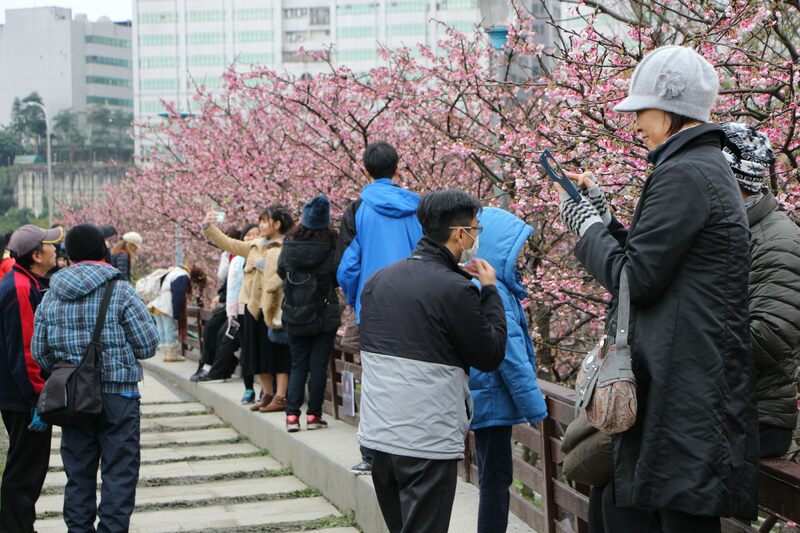 For photo enthusiasts, the organizers is also holding a sakura flower photo competition. The public is invited to submit their romance-theme photo and compete in the event by uploading it to the Facebook fan page or Instagram of LOHAS Night Cherry Blossom Festival, tagged with “#樂活夜櫻季” and “告白櫻花攝影競賽”. For details and full list of prizes, please visit the event’s fan page on Facebook. MRT: Take the MRT to MRT Donghu Station. The park is a 9-minute walk from the station. Disembark at Dongu Community bus stop (for buses 53, 281, 287, 630, 646, S1, BR19, BL12, and BL51). It is a 2-minute walk to the venue. Disembark at Donghu Elementary School bus stop (for buses 203, 284, 629, 677, 711, 896, 903, BL36, BR19, Neihu Lin, and R2). It takes roughly 5 minutes to get to the park.